C- Over Here, Come Get Your C-! It is sometime after 5 am so I felt the newspaper delivery boy headline would work. If you don’t like it, sue me! Now that I have gotten that out of the way, lets get down to business. To no one’s surprise another subway line scored a C- in its 2007 “Rider Report Card”. Today’s culprit is the F which brings riders on a long journey from Jamaica/179th Street to Coney Island/Stillwell Avenue. Now lets go straight the full breakdown of the results along with my analysis. I think this report card was graded quite accurately. The F is a line I frequent quite often whether it is for railfanning purposes or traveling to the Lower East Side to go hang out or catch (if not both) my friends perform. I happen to have filled out a report card for the F online & my top 3 priorities matched the overall results. In my experiences, wait times for the F train are hit or miss. If things are going good, I will arrive just as a F is pulling into the station, starting to approach the station, or arrives within 1-2 minutes. However when things are not going good which seem to be the majority of the time, I am just missing the F train & waiting for a good 10-15 minutes before the next one arrives. As far as having adequate room on board, this is a problem way beyond just rush hour. I have taken the F at all times of the day & night & I rarely get a seat. I only tend to get a seat on the F if I am getting on at or near the beginning of the line on either end. Unfortunately most times I am not railfanning so I am getting on the train somewhere along its long route. The delays for me tend to happen when I am riding the F in Queens. The express run can be great but most times it is slowed down by train traffic ahead of it. I understand that the line shares track space with the E for the better part of the day but I feel like the traffic is definitely from the E. I say this as it seems to be long gaps between F trains at times. The best time for the express in my experiences is late at night when the F can spread its wings on the express tracks. However this does not come as a surprise since the E is relegated to the role of a local to service Queens Boulevard all by itself which is a problem in of itself if you ask me. For the most part I think all of the categories were graded fairly as it is hard to argue with any of the results. As usual though the F did get the free B grade of some sort for the availability of Metrocard vending machines (MVM). As far as improvements are concerned, I think riders are going to be disappointed by what I have to say however it must be said. I wouldn’t expect the F to improve on this grade for a few years. 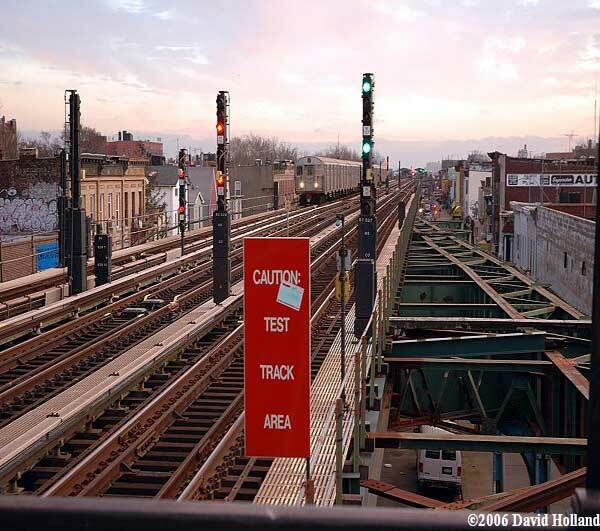 If anything the grade might deteriorate due to all the services changes riders will be faced with it in the near future due to the necessary repairs on the Gowanus Viaduct. However to be fair, I think the riders should give the MTA some slack as the intention seems to be there to improve service along with adding the G & V to the mix in big ways. I also would like to say it was nice to see the 10,000 barrier mark be broken as far as report cards received by the MTA. The barrier was beyond broken as a whopping 13,101 sent in your report cards in whether by mail or online. While the number is low compared to how many depend on the line, this is a huge improvement from the previous response totals! If I had graded the F train 5 years ago I would have given it a B. Maybe it was because I had moved from Astoria to Brooklyn and the F from Brooklyn towards the village was just a better ride than the r from Astoria to the same destination but when I first encountered the F it seemed like a pretty great train. Over the years, it’s deteriorated. I’ve found myself using other trains when possible. The F is awful late at night, which is ridiculous because there is always a crowd of people from my neighborhood who go out in Manhattan on week and weekend nights and go back to Brooklyn between 11 pm and 1 am… I have been on crowded platforms at 2nd avenue after 1 am. There’s no excuse for that. Rush hour is a mess. The train is overcrowded and often slow, stopping frequently at 4th ave, Smith & 9th and Bergen (the conductor always blames the G train) and the train seems not to work when it rains, all of the sudden. That’s ludicrous. Here’s another oddity — used to be that when trains running to Brooklyn were backed up, they’d run one express to get things moving again. They seem to have stopped doing that. And, why do they never run trains running towards Manhattan express when they’re backed up? I used to like the F. At this point, I think the C- grade is laughably generous. Oh, and they need to take the “ease of use of turnstiles” gimme off the report card. Besides, in the 7th avenue station if you’re carrying anything bulky, even a big gym bag, the turnstiles are so unwieldy that you pretty much have to set off the alarm to get out of the station (either that or walk halfway between 2 avenues out of your way which is unacceptable). Thank you for taking the time to leave a comment. Let me say I know exactly what you are talking about in regards to F being awful at night. I like yourself have been on crowded platforms at 2nd Avenue after 1am & pretty much any time of the night/early morning hours. There is nothing more frustrating than wanting to get home from hanging out in the Lower East Side to find the station is packed with people waiting for the F along with you. Honestly I have found myself taking the F less & less when I am heading back home after a night out. I used to just take it up one stop to transfer to the 6 to head home. Speaking of which I can’t wait until you can transfer to the uptown 6 at Broadway-Lafayette as having to exit & cross over for the uptown train gets old. It is worse when you don’t have a monthly on you & you go down to come back up to save a fare! Anyhow I have digressed enough…..
Now I find myself avoiding the F & just walking to the Bleecker Street stop on the 6 from the Lower East Side. While the walk can feel like it takes forever even for a fast walker like myself after having drinks & hanging out, it is better compared to waiting for the F! What do you find yourself using now to get to the Lower East Side if I assume you live closest to the F? I tend to hop the F or V for 1 stop if I am going to the Lower East Side after riding down on the 6. Thankfully when I usually start hanging out with my friends, the V is also available as an option. If the V was available all night, I would probably not mind waiting at 2nd Avenue. Unfortunately at that time of the night, the F is the only show in town & it is not a good one! I agree with you that the “Ease of use of turnstiles” should be removed from the report card. I feel the same way about the “Availability of Metrocard Vending Machines” as these grades are free squares & don’t serve a purpose in realistically evaluating grades on the lines. Ouch, the 7th Avenue station sounds like a nightmare for exiting!